Toronto, ON., (February 13, 2014) – This is a car that adopts a human-like interface – connecting both physically and emotionally with its driver – offering a mobility experience like nothing we have ever seen in today’s world. 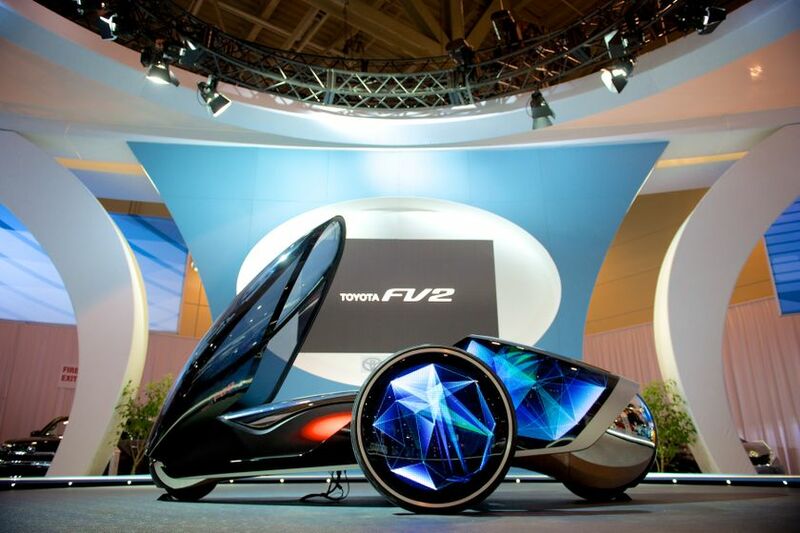 It’s nothing less than the future of personal transportation, and it’s the featured attraction at the Toyota booth at this year’s Canadian International Auto Show (CIAS) in Toronto. Using advanced design innovations, rather than using a steering wheel, the FV2 is operated by the driver’s body shifting forward and back, as well as to the left and right. And by using intelligent transport system technology, the car can connect with other vehicles in its immediate surrounding area, as well as traffic infrastructure by picking up and providing a wide variety of advanced safety information. The FV2 embodies Toyota’s vision for an ever-developing driver-vehicle relationship by nurturing a bond between human and vehicle. Through an augmented reality display on the windshield, and by incorporating innovative Toyota technology, the FV2 and its driver are always in sync. Voice and image recognition technologies are used to determine the driver’s mood, and in response, the body colour and exterior display can be changed at will. Destinations can even be suggested based on accumulated driving history. Toyota has created an exclusive smartphone application that enables users to experience the Toyota FV2 and can be downloaded free of charge from the AppStore or GooglePlay. CIAS visitors can see the FV2 in the Toyota display area, which is located on the 800 Level of the South Building at the Metro Toronto Convention Centre (MTCC). The auto show runs February 14-23.